It was OK. I don't see why everyone loves it so much. It wasn't very smart or deep or well-directed. I wanted to like it more than I actually did... But much of the humor totally escaped me and I walked out only mildly impressed. It's funny, it's tense, it features two great performances from two actors and the director expertly creates a web of odd tension where you actually don't know what is happening for the majority of the run time. It's simple. This is the beginning of the best Superhero Trilogy of all time. Nothing can touch these three, beginning right here. (And as they unfold it's clear how tightly they mesh together). Christian Bale, Michael Caine, Liam Neeson... the only weak spot in this movie (and the next) is Rachel Dawes. Especially here, with squeaky voiced Katie Hughes as the characters. But that doesn't detract from this being a great movie. The flow, direction and story are all excellent. After the crash because of Batman's last movie before The Dark Knight trilogy that didn't really reflect the impression of a real Batman movie, Christopher Nolan makes something like that in the three series of The Dark Knight. 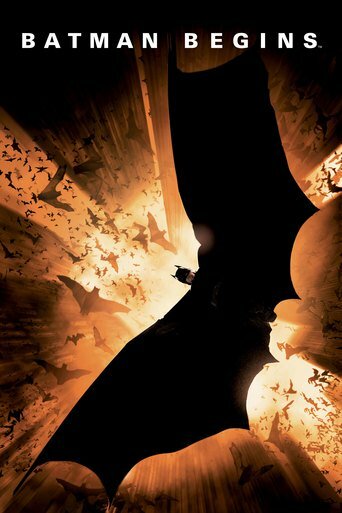 Tim Burton's Batman I think is very good where he shows some of the great actors such as Michael Keaton and Jack Nicholson and was a comic appreciation in the form of the best movie ever and this is it, a superhero film directed by a genius of Christopher Nolan and the result is not disappointing.Batman Begins is one of the real superhero movies. The film depicts a picture of Batman's character as a dark, gloomy, creepy, yet fantastic. Christopher Nolan built all those elements into a gothic style which was also shown by Tim Burton himself in his Batman series. At first, I only know this figure from people who often talk about it and honestly, I've never seen it on local television. I only know his name but didn't know the source and anything else. But, I've watched Batman Begins and I know that.This film takes the set with a non-linear pattern like the typical style of Christopher Nolan that will be told in turn. The setting takes in Bruce Wayne character as a child who witnessed his parents being killed before his eyes. Bruce learned how to fight and take it, face the greatest fear of a bat, until learning how to overlook the past. It's your typical superhero-based movie, the protagonist who lost his parents, the beginning of their appearance is considered as a villain and the things that are in the superhero movie.Batman Begins takes the background of a city called Gotham where the city is ruled by evil, another satirical social issue to brings into reality but kinda dark. The protagonist who presents two different characters does have the deepening of the well-development character and for me, this is why the superhero movie existed. Initially, I didn't feel sympathy for the character of Bruce Wayne where I prefer his character as Batman but towards the story, it's gradually moving to two characters with contradictory sympathy. 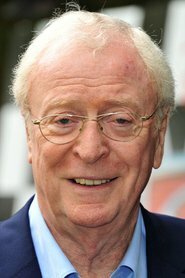 It's not like the character of Bruce Wayne loved by the people in this film where the Batman character is the superhero of Gotham city but these two characters are both likable and there is no sense too keep their exaggeration.Batman Begins uses a plot based on the Batman story but this film doesn't always focus on the characters of Bruce Wayne nor Batman. By adding a supporting character that develops the story and strengthens the protagonist, its passage turns into a more realistic Batman who also attends as a character portraying other superheroes. Christopher Nolan always adorns his films with a hurt protagonist and has a profound mistake on every character and in Batman Begins, all of that is shown from the dilemma that Bruce Wayne must face to the intensity of drama that surrounds him. I also didn't know that Batman is a compilation and summary of a ninja where Batman is the underlying character of it.If talking about Batman then we don't forget the actor who plays it from behind the scenes and we are talking about Christian Bale with his great performance and memorable as Batman character. 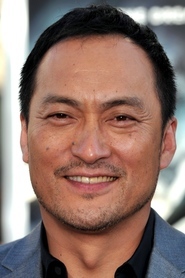 His performance is convincing and supported by other famous actors such as Liam Neeson, Michael Cane, Gary Oldman, Ken Watanabe, and Morgan Freeman. 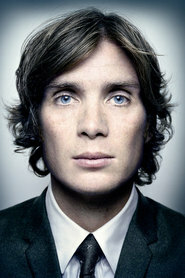 Love that character played by Cillian Murphy but one thing that fails is the character immediately lost in the climax. 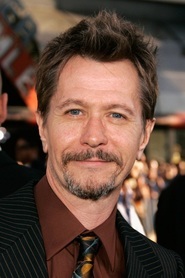 Gary Oldman also has a memorable role as a partner of Batman himself, Ken Watanabe is not too explored, Liam Neeson is great too, and Morgan Freeman as well. 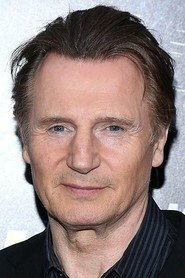 All the actors I think fit with their respective roles and I hope, the next movie still has the same actors and the role as well.Batman Begins shows as a film that resurrected the Batman franchise and became one of the films that created a variety of influent to the films that tried to follow the technique of Nolan as well. It's darker, portraying the Batman's bleak character figure as well as the urban city, the cinematographic, the actor, and some of the humor that exists. Bottom line, it's great to start with this The Dark Knight trilogy and the second with three series will be coming. This review contains spoilers.Batman Begins is directed by Christopher Nolan and stars Christian Bale as Bruce Wayne. Batman Begins is about Batman's origin story where he begins his journey as a superhero vigilante. Bruce Wayne learns from the League of Shadows and later thwarts a plot to destroy Gotham.The movie is a great high budget entertainment flick. From the beginning of the movie, the audience can follow Bruce Wayne's story. He is self-exiled and trains under the League of Shadows. Bruce keeps his moral code and refuses to kill which leads to an impressive scene of his escape. The movie continues its good use of cinematography and directing. Christopher Nolan does a good job with the set pieces here. There is never a technically incompetent done shot or edit. 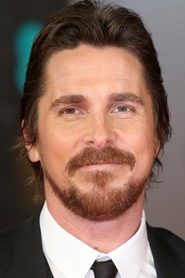 The actors all do a good job with their lines with the obvious stand-out being Christian Bale. Christian Bale does a great job in the role and he could be the best portrayal of Batman in cinema.The soundtrack and sound design all present each scene appropriately. The audience can feel the intensity in the scene and the beats. Hans Zimmer does a great job in collaborating with Christopher Nolan to deliver an audio and visual experience.There are some flaws with the movie which lie in its flow and writing. Some scenes could have been lead up to better. These scenes spontaneously introduce the action. Likewise the dialogue especially with Scarecrow could have been written better.These are minor issues and Batman Begins is a recommended movie for all audiences. I didn't know much about this movie, seriously. It was only this year that while searching my local DVD store, I found a single disc edition copy. I decided to give it a shot since I'm a huge fan of action/superhero films. I didn't regret watching it. Christopher Nolan proved how great as a director he is, and how great Christian Bale, as Batman, is.BATMAN BEGINS is a very impressive superhero film which balances action, adventure, emotions and some thought-provoking, inspiring messages. This is not just a superhero film; it is much more than that and breaks the boundaries a film of this genre is usually confined within.Christian Bale is simply one of the best things about the film. 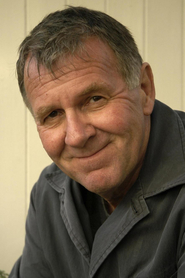 In my honest opinion, no one could've played Batman better than him. 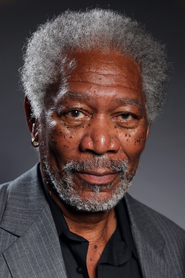 All other actors have done a similarly great job. 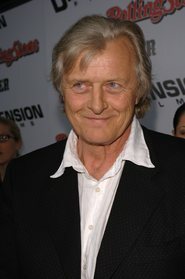 The film's one of the biggest highlights is the action. All the action sequences are highly impressive and succeed in holding a repeat value. Visually too, the film succeeds in entertaining.Perhaps it's only a bit slow first half that is a bit of negative. The film takes its own sweet time to set up. But when it does, it ACTUALLY grips you, completely.BATMAN BEGINS is a very well made, impressively crafted superhero film.